Night Terrors is a departure from the overarching story of this season and gets back to what is primarily a stand alone story. Unfortunately, it wasn’t a story that really held my interest. There’s a lot less to say this time around, but that might be a good thing after all of the excitement of last week. The notion that the scariest place in the universe is a child’s bedroom is great and I loved the idea of the Doctor making a house call to save a child in need. Unfortunately, it was once we saw the nature of the threat that things fell apart for me. The unknown was far creepier and while the cupboard was full of everything young George was afraid of, we only saw the dollhouse and its inhabitants. 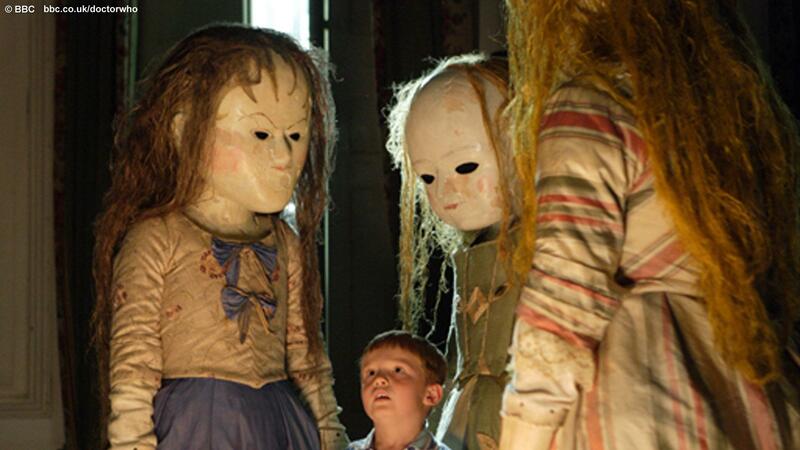 The peg dolls were definitely creepy, but ultimately I would have liked to see some variety even just having the dolls look more distinct from one another. 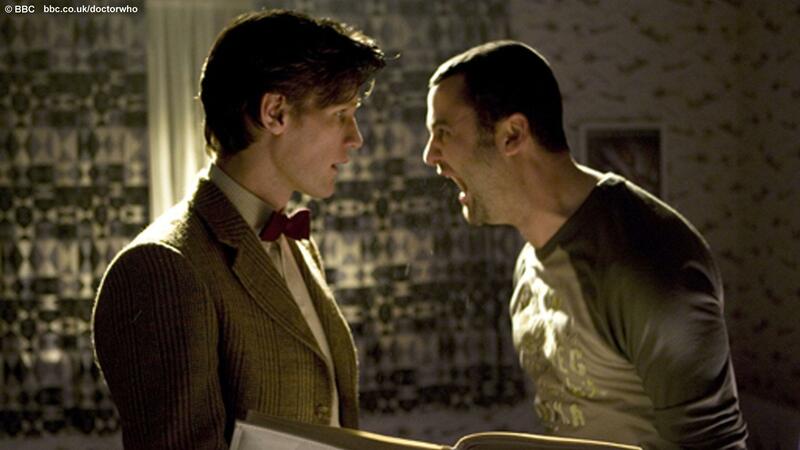 There’s not a lot of connectedness between this episode to the rest of the season beyond Rory’s lament that they were “dead… again,” monsters being put in a cupboard, and the Doctor once again looking at the details of his death on a screen in the TARDIS. The Doctor commenting that they were all together again “in the flesh” at the episode’s conclusion may or not be a clue regarding what’s to come, as the dolls had just been turning people into wood. We also heard some fun references to the Doctor’s favorite childhood stories that called back to past episodes and enemies from the classic series (e.g. Snow White and the Seven Keys to Doomsday, The Three Little Sontarans). We may see George and his family again, but I don’t see Night Terrors having much to do with things going forward which is about what I expected. The fact that this episode was originally intended to air in the first half of the season may have kept it from resonating with me coming off of everything we saw last week. Night Terrors may have suffered in its thematic similarities to this season’s The Doctor’s Wife (as well as Season Two’s Fear Her). It was a fairy tale in a lot of ways, but it wasn’t as effective or steeped in Doctor Who lore as the Neil Gaiman penned adventure. Night Terrors writer, Mark Gatiss, has a number of Doctor Who episodes on his resume (The Unquiet Dead, The Idiot’s Lantern, Victory of the Daleks), but they are not among my favorites. The highlight for me this week for me was being able to see the episode in HD, and Night Terrors had some great moody visuals that lived up to its title. While I’d like to say my provider has added BBC America HD to our lineup, the reality is I purchased an iTunes season pass last week and it’s worth every penny. Next week is arguably the episode I’m most excited for (barring the finale of course) as the season winds down. We see what promises to be a crazy story of an alternate version of Amy Pond along with some of the most captivating visuals featured in the trailer for the second half of the season. Stark white walls, a mysterious forest, teleporting robots and Amy Pond as a samurai, I honestly can’t wait for The Girl Who Waited. including reactions to each new episode on BBCAmerica and iTunes.